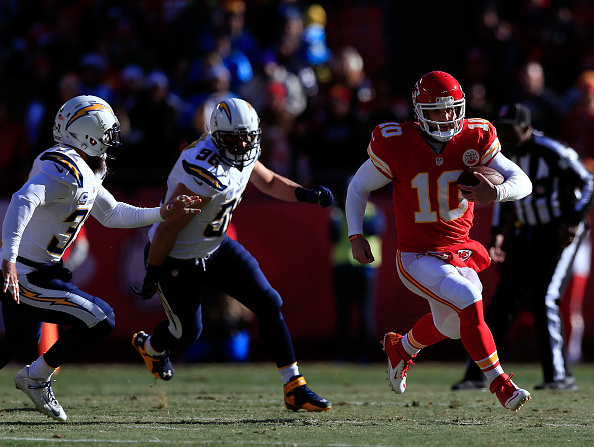 The Chiefs postseason dreams ended Sunday, but in doing so they helped eliminate one of their rivals, topping the Chargers at home 19-7. The win for the Chiefs ends their year 9-7, and it also ended the Chargers season 9-7, but knocked San Diego out of the playoffs. If the Chargers would have won, they would have taken home the 6th seed. Instead, Baltimore, who beat Cleveland at home 20-10, is the 6th seed in the AFC playoff picture. Justin Houston had four sacks for the Chiefs (9-7) to break Derrick Thomas’s franchise record with 22 in the season. Cairo Santos kicked four field goals, and Chase Daniel played well enough in place of injured quarterback Alex Smith, throwing for 157 yards without an interception. 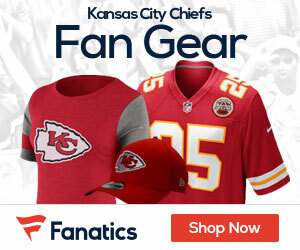 The Chiefs’ only touchdown came when wide receiver Dwayne Bowe fumbled inches shy of the goal line early in the second quarter. Tight end Travis Kelce recovered in the end zone. Philip Rivers had 291 yards passing for the Chargers (9-7), going 4,000 yards in a season for the sixth time in his career. Branden Oliver ran for 71 yards and a touchdown. It appeared for a while that an unexpected series of events just might allow Kansas City to sneak into the playoffs, similar to what happened on the final day of the 2006 season. The Chiefs had already built a 19-3 lead on a cold day at Arrowhead Stadium. Cleveland was clinging to a 10-3 lead over Baltimore, and three-win Jacksonville led Houston 17-14. If all three scores had held, the Chiefs would have claimed the final wild-card spot. Instead, the Texans took the lead a few minutes later. So did the Ravens. And when both held on to spoil the Chiefs’ party, an inspired performance by their defense became moot. Kansas City started the season 7-3, but limped to the finish amid an avalanche of injuries. The latest was to Smith, who lacerated his spleen in last week’s loss to Pittsburgh. The Chiefs need to make many changes to get back to an elite playoff team.